Product code: 271 Categories: Sold Items, Sold Rings. 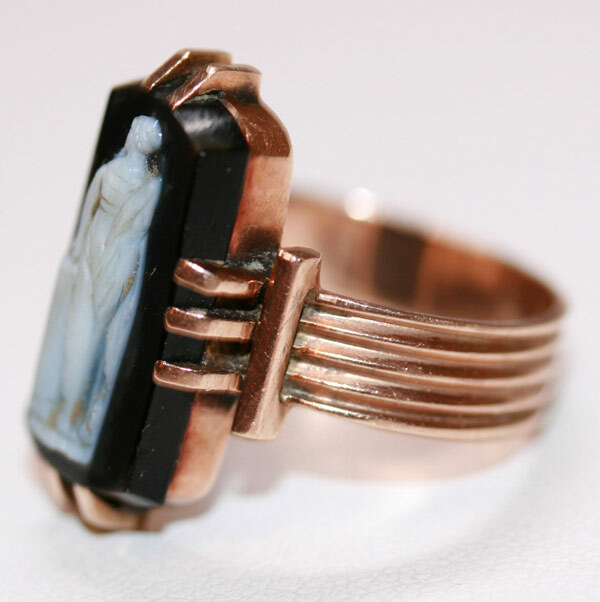 What a wonderful hardstone cameo ring. 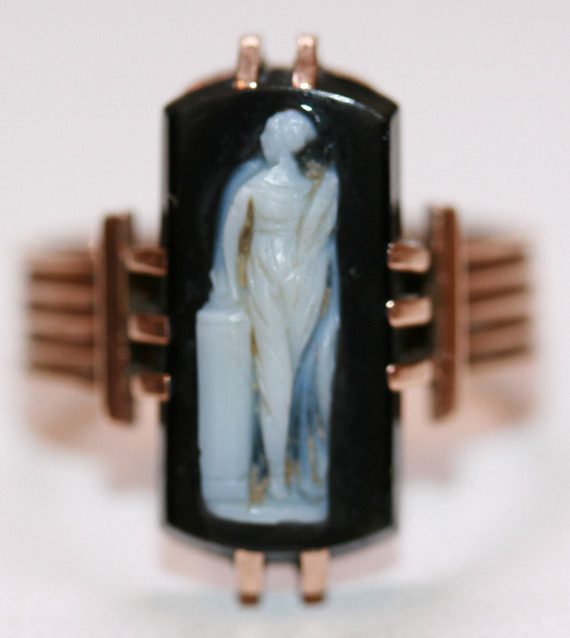 Most cameos are made from shell, however this one is carved from onyx. Made in the Edwardian era – circa 1910, this ring also has a very unique setting, and looks lovely on the hand. The cameo itself, measures 15mm x 7mm, and is beautifully carved as you can see.